On a wall in Genoa, Italy, August 2006. 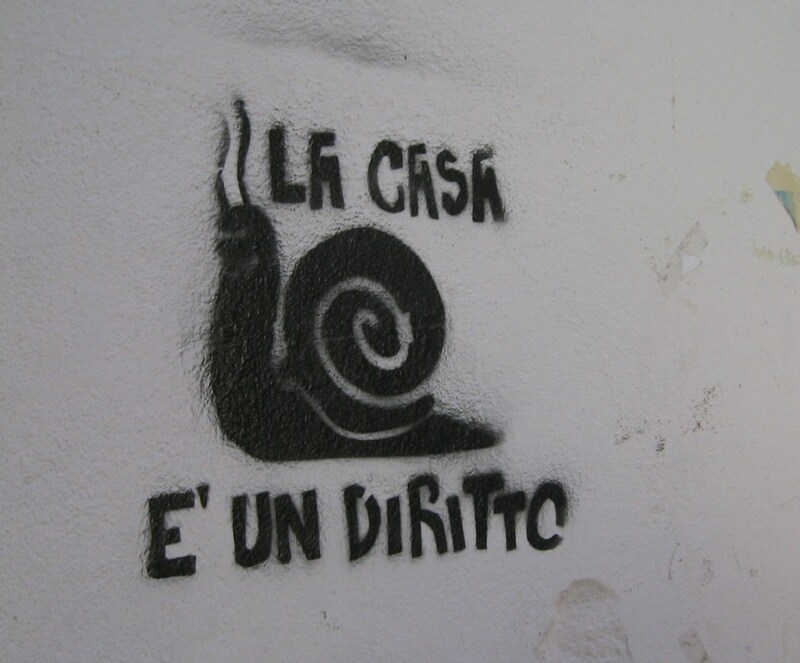 Socialist Snail is still making its way across the Atlantic to protest foreclosures in the US. Look for him sometime in 2010.